Each year, Beacon students from grades 3 to 10 take a standardized test called the International Schools’ Assessment or ISA. This test is a service offered by the Australian Council for Educational Research (ACER), a service meant to provide statistically reliable information that can be useful in school and in the home. Schools may use this information as a benchmark, to see how their own student population compares to those from other international schools in Asia, Europe, Africa, The Middle East, the Americas and Australia. Parents, and students, may use this information to better understand an individual student’s academic progress. The ISA is an assessment of mathematical literacy, reading and writing. It is administered over two mornings, with each test lasting for 45 minutes to 1 hour. A total of five tests are administered, two for math, one for reading, and two for writing. The Beacon Academy administered the ISA test to Ninth and Tenth Graders last February 8 and 9, 2012. 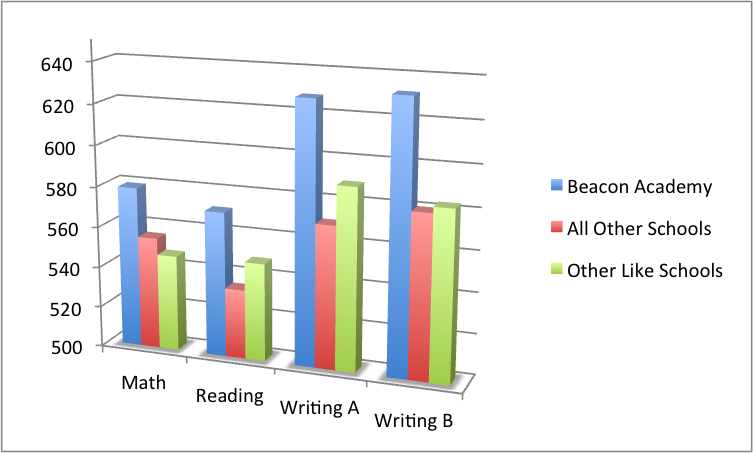 The following graphs illustrate how Beacon Academy students fared, in comparison to all other schools that participated in this year’s ISA testing. 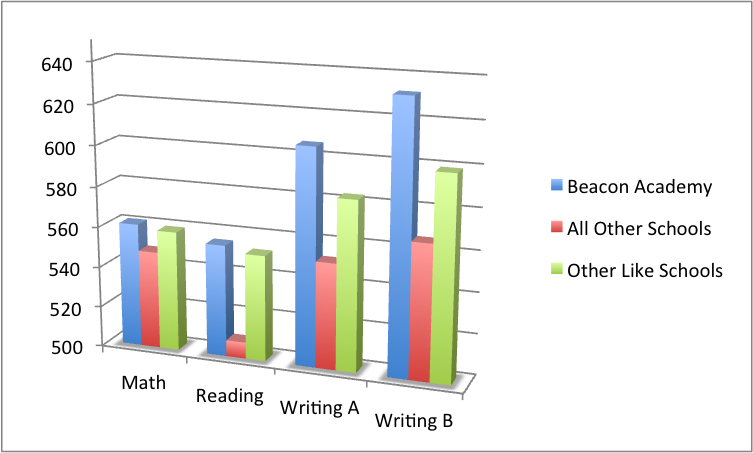 In 2010-11, over 53,000 students, in 289 schools, took the ISA tests. These numbers have continued to grow.